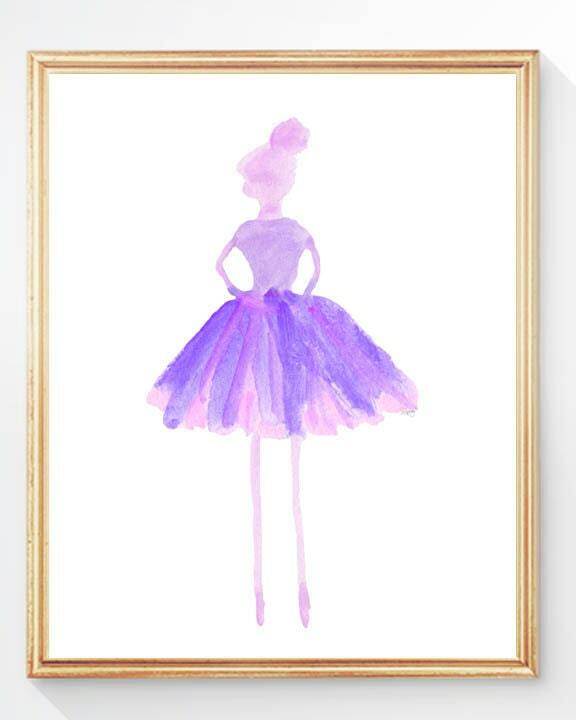 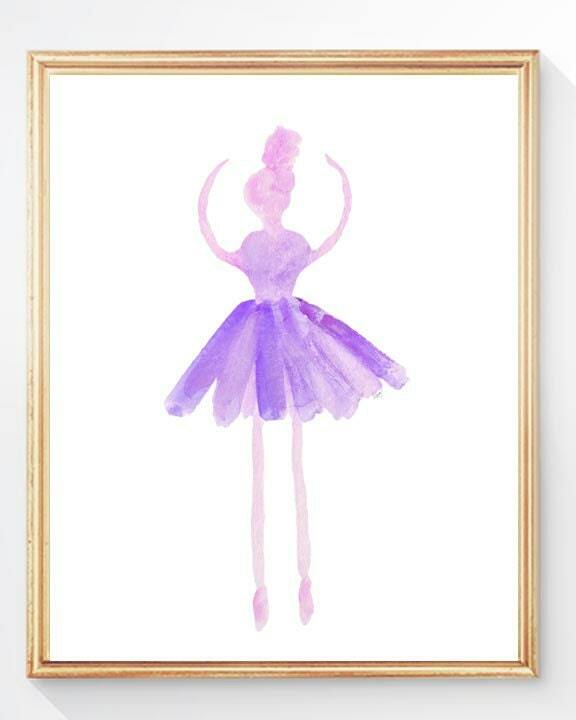 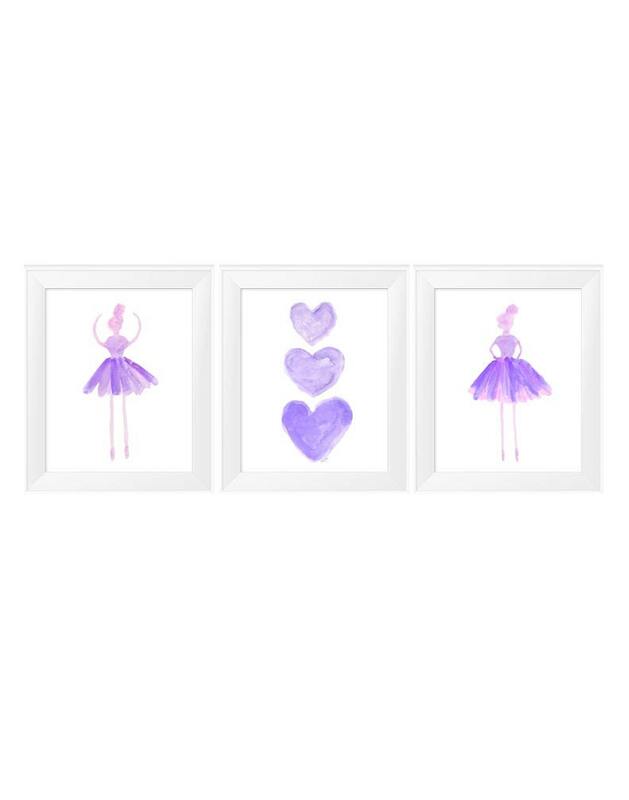 Two fanciful lavender ballerina poses frame a heart trio in a set of 3 watercolor art prints. 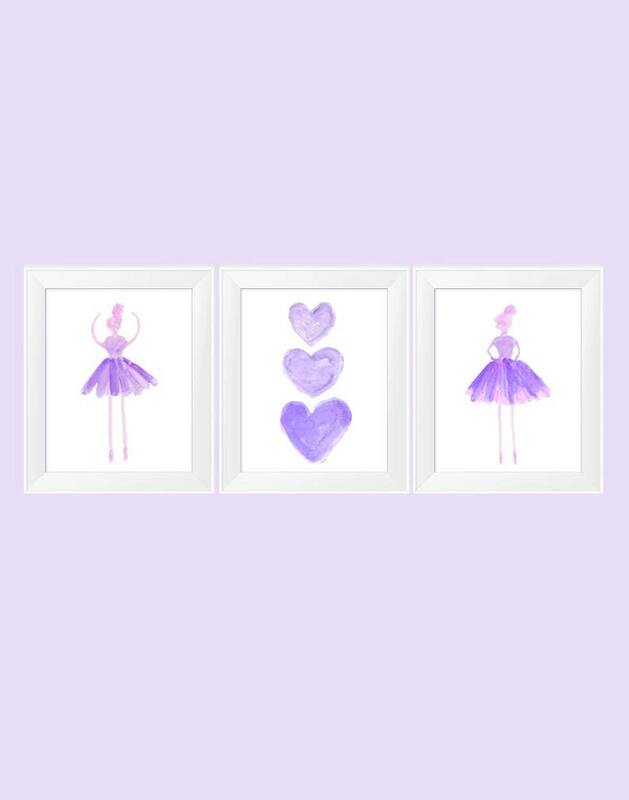 Each created from my original paintings. 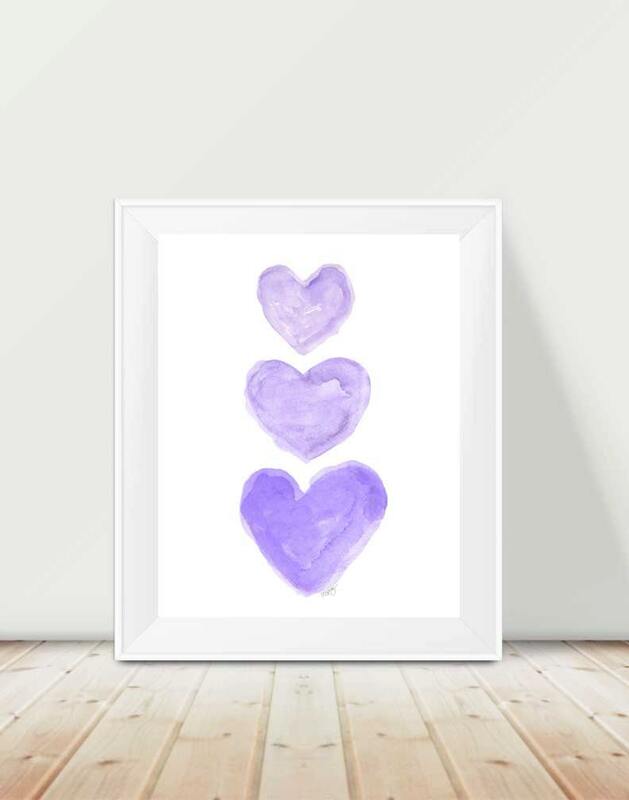 Each print is 11" x 14".